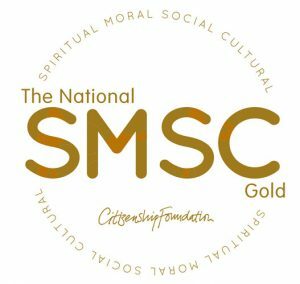 We are very proud to hold the SMSC GOLD Level Award for the spiritual, moral, social and cultural education of students at ALNS. ALNS received this award from the Citizenship foundation at the highest possible level. At Admiral Lord Nelson School, our moto ‘Dare to Dream, Aim to Achieve’ exemplifies our attitude and approach to the importance of the development of all aspects of SMSC. We champion and firmly believe in a broad and balanced education, experiences and a curriculum that ensures that our students are ‘respectful global citizens’. We recognise that the development of students, spiritually, morally, socially and culturally plays a significant part not only in their ability to learn and achieve but in their ability to relate fully to and have the ability to access the world they live in. We therefore aim to provide an education that provides children with opportunities to explore and develop their own values, whilst recognising that those of others may differ. Beliefs, spiritual awareness, high standards of personal behaviour including a positive caring attitude towards other people, an understanding of their social and cultural traditions and an appreciation of the diversity and richness of other cultures are all critical skills and dispositions that we nurture, encourage and develop through our whole curriculum and beyond. All curriculum areas have a contribution to a child’s spiritual, moral, social and cultural development and opportunities for this will be planned in each area of the curriculum. Belief values, principles and spirituality will be explored across the curriculum. The integrity and spirituality of faith backgrounds will be respected and explored. The diversity of spiritual traditions will be recognised, and pupils will be given access to alternative views. 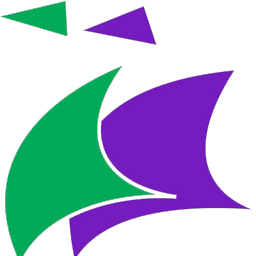 All adults model and promote socially responsible behaviour, treating all people as valuable individuals and showing respect for pupils and their families and stakeholders. Students should learn to differentiate between right and wrong in as far as their actions affect other people. They are encouraged to value themselves and others. Students should understand their rights and accept their responsibilities and the need to respect the rights of others. As a ‘Right respecting School’ this firmly underpins everything we do. We have our RRSA charter that promotes responsible and respectful behaviour. That everyone connected with the school in anyway is aware of our values and principles and our commitment to being an RRSA school. A consistent approach to the delivery of SMSC issues through the curriculum and the wider life of the school. That a child’s education is set within the context that is meaningful and appropriate to their age, aptitude and background. That children have a good understanding of their right and their responsibilities. That we promote the fundamental British values of democracy, the rule of law, individual liberty, and mutual respect and tolerance of those with different faiths and beliefs. Develop the skills and attitudes that enable children to develop socially, morally, spiritually and culturally e.g. empathy, respect, open-mindedness, sensitivity, critical awareness etc. Develop an understanding of Modern Britain’s local, national, European, Commonwealth and global dimensions. The school will support the work of a variety of charities who are both local and international. Provision for SMSC is monitored and reviewed on a regular basis.